Today marks the first ever National Clean Air Day, a chance for the whole country to come together and improve air quality through collective action. Air pollution contributes to 40,000 premature deaths a year in the UK but progress on this issue has been glacially slow. Recently the government was successfully taken to court by NGO Client Earth for failing to meet pledges on air pollution, forcing the publication of a new clean air plan by 31 July. A draft air quality plan for consultation was published on 5 May, but in the opinion of most observers it doesn’t go far enough. Much greater emphasis could have been put, for example, on initiatives such as the retrofitting of highly polluting vehicles, a more comprehensive scrappage scheme for diesel cars and improving green infrastructure such as segregated cycle lanes and electric vehicle charging points. Consultation on the plan is open until 15 June but it is unlikely that Theresa May will use valuable political capital to introduce measures targeting diesel vehicles in the final version. Greater hope lies perhaps at regional level. London’s Mayor, Sadiq Khan, has been pretty vocal about the implications of toxic air for public health and last December committed to doubling the amount of money to tackling the capital’s air quality crisis over the next five years. There’s also been the recent election of the new Metropolitan Mayors in six regions across the UK which has seen transport powers, among others, transferred from central government. Merseyside Mayor Steve Rotheram has pledged to support electric vehicles by investing in electric charging points. He also wants a campaign to increase cycling and walking, and aims to buy only electric or hydrogen buses from 2020. Greater Manchester Mayor Andy Burnham pledged in his manifesto to create a clean air action plan for the region. He also made cycling central to his campaign, with the aims of increasing cycle lanes and launching a bike hire scheme. 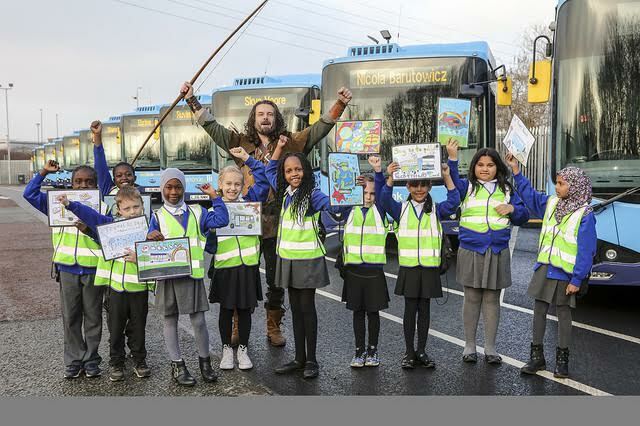 Those leading the national policy discussions on the issue would do well to learn a thing or two from Nottingham and Birmingham City Councils, both of whom have this week jointly won the 2017 Ashden Award for Clean Air in Towns and Cities. The Ashden Awards are given to pioneers in sustainable energy and are a globally recognised measure of excellence. Nottingham City Council has won for its pioneering scheme to transform the city by funding greener transport through a Workplace Parking Levy (WPL). Initially controversial when first introduced, the scheme has seen public transport usage in the city increase by almost five million journeys a year since April 2013 and Nottingham now has the lowest emissions per head of population of all the large UK cities outside London. The WPL works by requiring businesses with 11 or more employees parking on their premises to pay a yearly charge per parking space. The scheme has two aims: to reduce the number of cars coming into the city and to raise revenue for Nottingham’s integrated public transport system. The city’s integrated public transport system now includes trams on two cross-city routes spanning 34km, one of the biggest electric bus fleets in Europe and segregated cycle routes for bikes. New improvements include an Eco Expressway, which is currently being added to an existing road to the east of the city and will feature bike lanes and a priority lane for use by electric and biomethane buses and by ultra-low emission cars. Nottingham City Council is also a Go Ultra Low City which means it is committed to becoming an exemplar for Ultra Low Emission Vehicles (ULEVs) to address local air quality and environmental health issues. Passengers can pay for public transport journeys using the Robin Hood Card, a pay as you go smartcard. Thirty thousand of these cards have been issued to date, an indication of the popularity of the public transport network. Now other city councils, including Cambridge and Oxford, are approaching Nottingham City Council to talk about the scheme, hoping to replicate it in their own areas. Meanwhile, in Britain’s second biggest city, joint Ashden Award winner Big Birmingham Bikes (BBB) offers free bicycles to Birmingham residents living in deprived areas. Recipients also receive basic training in cycle maintenance and BBB provide lessons for those who lack confidence in cycling or have never ridden a bike before. 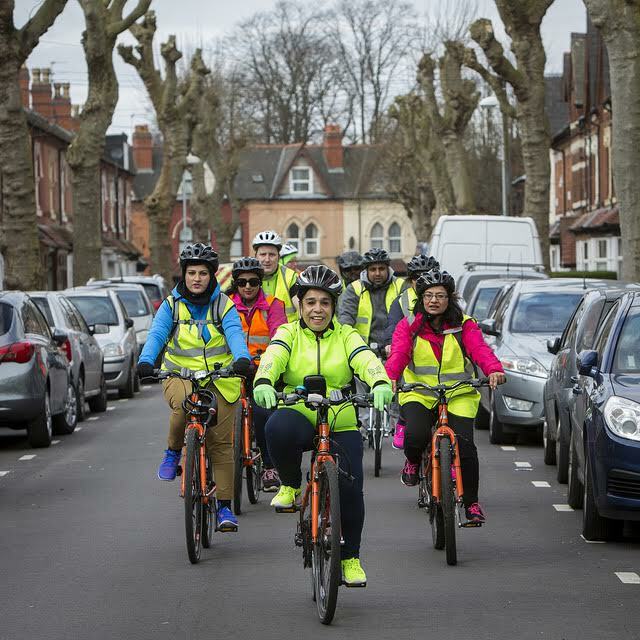 The scheme is part of Birmingham City Council’s Birmingham Cycle Revolution (BCR), which aims to make cycling an everyday way to travel around the city, which in turn brings significant health and environmental benefits. BBB is linking up with community groups, including homeless and mental health charities, to ensure that the bikes reach those who will benefit from them most. Thanks to their work, 11 new recreational cycling groups have sprung up. 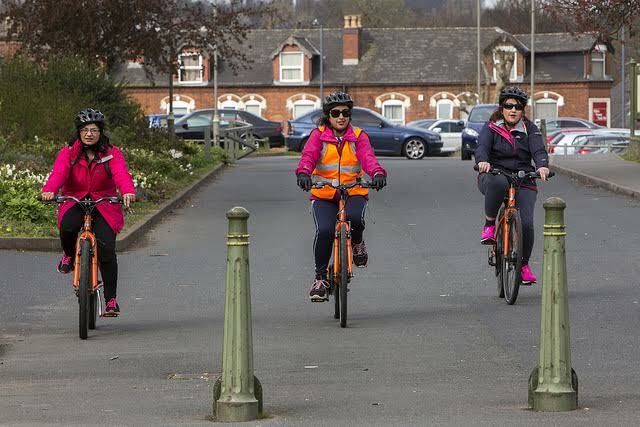 BBB is also leading practice rides along popular commuter routes to encourage people to use the bikes as a means of transport as well as for enjoyment. This can be a big help for those looking for work as it can enable them to access training and job opportunities when no other transport options are available. Additionally, fully segregated all-weather cycle lanes are being installed to encourage more people to cycle in safety and confidence along two of the city’s most important commuter routes. GPS devices are included in every bike and the data collected can be viewed by owners who want to track their rides and is also used to enable the Council to provide infrastructure such as bike lanes or bike parking facilities where cyclists need it most. So far 3,400 bikes have been given out to individuals as well as an additional 600 distributed to community groups and bike hubs, which are then loaned out free of charge. BBB plans to distribute around 1,500 bikes a year for the next four years, meaning that approximately 10,000 will be in use by the end of 2020. Both organisations are being presented with their Ashden Award today, National Clean Air Day, at the Royal Geographical Society where the keynote speaker is none other than the former Vice-President of the US, Al Gore. Ashden is also working with the Greater London Authority to establish a programme of work aimed at sharing the lessons from each region and from its Award winners to help increase ambition and accelerate progress towards clean, breathable cities. Previous PostWhy Should I Balance My Budget?